PARIS  The discovery of an ancient skull in the Caucasus region, believed to have belonged to a man who lived 1.75 million years ago, may disprove a long-standing theory about the reasons that pushed early man to migrate from Africa, according to a report in the journal Science. A group of international scientists writing in Friday's edition of the magazine said the puzzling skull, discovered in the former Soviet republic of Georgia, could challenge the notion that early man migrated away from his roots in Africa as the size of his brain grew. The well-preserved find was discovered at Dmanisi, a well-known site around 70 km southwest of Tbilisi where two other examples of Homo erectus from the same period had already been discovered, the scientists said. 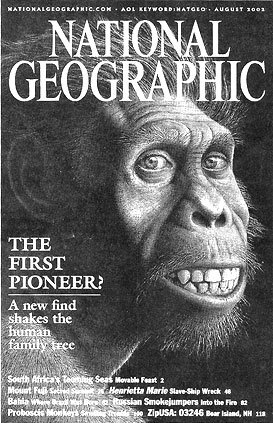 However, the find has surprised the team, led by David Lordkipanidze of Georgia's Academy of Sciences, because it bears a close resemblance to Homo habilis, an ancestor of Homo erectus who left Africa before spreading across the world. First appearing in Africa around 2.5 million years ago, Homo habilis is the first group to be classed as Homo (man) as well as habilis (agile), which indicates that it pursued a clear lifestyle of settlement, as deduced from stone tools found near the fossils. Such a distinction would place it in the Oldowayan cultural grouping, which takes its name from the site of its discovery, in the Oldoway Valley in what is now Tanzania. However, that categorization has puzzled the scientists because the new find possesses a brain size and overall height that is regarded as too small to have the capacity to attain such cultural heights. Until now, accepted theories had assumed that mass migrations of populations depended on brain size, which would enable them to adapt to new environments. But the new discovery at Dmanisi appeared to contradict those theories, with the brain volume of the skull at 600 cu. cm, about 25 percent less than the other two examples found at the site and more akin to that of a gorilla than a manlike creature. "We view the new specimen as a member of the same population as the other fossils, and we here assign the new skull provisionally to Homo erectus," the article said. "It now seems more likely that the first humans to diversify from the African homeland were similar in grade to Homo habilis." According to Lordkipanidze, the new skull's size suggested that "enlargement of the brain was not the only reason to leave Africa." "My feeling is there should be a combination of reasons, not just one reason, that forced people out of Africa," he said. Two years ago, the same researchers stunned experts on primitive humans by announcing the discovery of two skulls at Dmanisi that were dated at 1.7 million years old, making them the oldest human ancestral fossils ever found outside Africa, which is thought to be where humans first evolved. Before that discovery, it was thought that a more advanced human species first left Africa about 1 million years ago. Those first two skulls were thought to be like the early Homo erectus or Homo ergaster found in Africa and dated at about 1.8 million years. In addition to the new skull, the researchers found a jawbone from what may be a Homo habilis. The findings suggest that humanlike species of various kinds may have traveled or lived together after leaving Africa as history's first migrants. "This was completely unexpected because until now, prevailing scientific views placed habilis, ergaster and erectus into an evolutionary sequence," said Reid Ferring, an archaeological geologist from the University of North Texas. Now, he said, there is a possibility that they Were together at the same place and time, but that interpretation has yet to be confirmed by others.